Enrico Bottelli was born in Milano, Italy, in 1961. 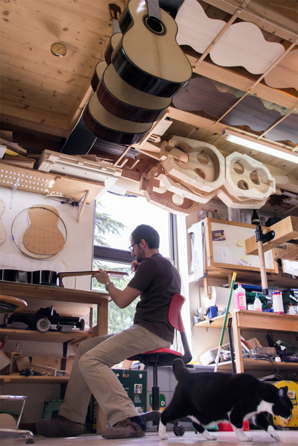 He has been building classical guitars slowly, meticulously, lovingly since 1988. His magnificent concert instruments are esteemed world wide by professional musicians and collectors for their elegant, highly responsive musical attributes, refined visual beauty and precise craftsmanship. His first experience in luthiery was in 1981 under the guidance of Master luthier Carlo Raspagni. Since then Enrico Bottelli’s background continued to grow and expand, becoming especially broad and diverse. In 1982 he attended a steel string guitarmaking course held by the famous maker Ervin Somogyi In Berkeley, California. In 1988 he studied the innovative Kasha system under U.S luthier Richard Schneider. 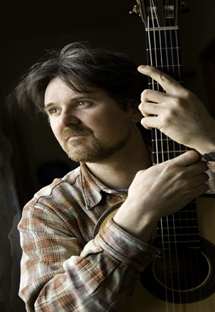 Then in 1994 and 1995, he studied the traditional Spanish approach to classical guitar making under the great twentieth century master, José Luis Romanillos. It was as a result of his intensive study with Jose Romanillos that Enrico Bottelli descovered the pivotal, early 20th century work of the other great Spanish masters Enrico Bottelli’s concert guitars derive much inspiration from the iconic guitars of Antonio. de Torres, Enrique Garcia, Manuel Ramirez, Hermann Hauser I, Jose Romanillos and David Rubio, whose instruments he has examined and studied extensively and whose refined sound and visual art continue to fascinate him. ​Today, Enrico Bottelli handcrafts an unusually responsive, lightweight, traditionally inspired classical guitar. His instruments are know for their musicality, wide range of delicate tone colors and balanced blend of deep bass notes, warm mid-range and clear, round, well defined singing trebles .Through his meticulous choice of rare, select tone woods, his guitars stand out for their unblemished craftsmanship, refined detail and aesthetic elegance. Enrico Bottelli’s work has been displayed at numerous important exhibitions and conventions in Italy, Europe and the U.S.A. His rare, much sought after art guitars are offered exclusively by the most select dealers in Europe, U.S.A and Japan.